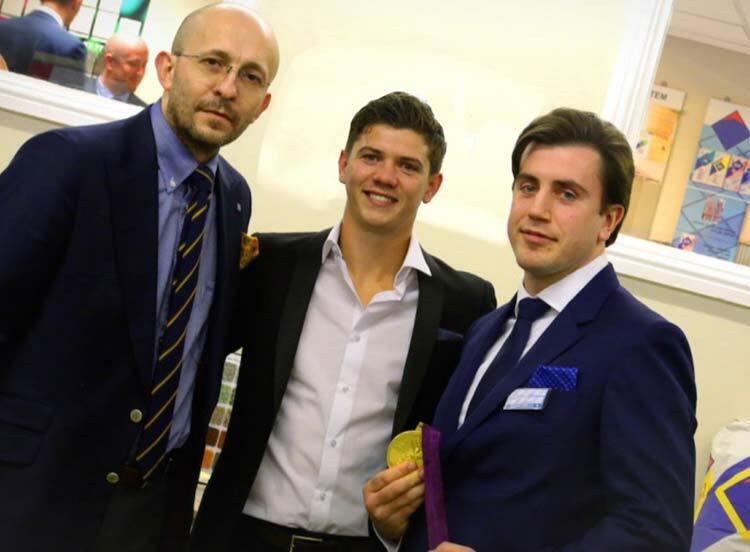 Boxing star Luke Campbell is packing a punch for the environment. The Olympic gold medallist, who has a 10-0 perfect professional record, has officially opened the Elrox Building Academy in Roper Street, Hull, which took on its first trainees on April 24 2015. Elrox, part of Hull-based Halltech Group UK, has developed the academy to produce future experts in low carbon building techniques such as solid wall insulation as well as other construction systems and methods that save energy and cut carbon emissions. Two-day certificate courses are aimed at contractors, builders, architects and apprentices. Alex Hall, Halltech chief executive, said that hundreds of people would be equipped with the necessary skills over the next five years. “Elrox will help to address skills shortages in green construction and contribute to the region’s growing reputation as a centre for renewable and low carbon energy. “We will help the environment, provide people with the skills for new jobs and, ultimately, improve the quality of housing in the Humber region,” he said. “Luke Campbell is now the face of Elrox, our brand ambassador. He is passionate about the environment and supporting his local community. Elrox is targeting appropriate domestic and commercial buildings for solid wall insulation after gaining support for the academy from the Atlas Group, one of Europe’s leading designers of insulation and energy-saving systems. Another important partner in the project is MKM Building Supplies of Anlaby, which will stock Atlas’s Aval insulation product and also provide apprentices for training. Energy Bill Revolution, which is campaigning for warm homes and lower bills, says that the UK has some of the worst insulated homes. About one in five houses was built before cavity walls came in to use. According to energy performance certificate figures, solid wall insulation can cut heat loss by 40 per cent, saving on energy bills and cutting carbon emissions. Mr Hall added: “With people becoming more aware of the importance of properly insulated homes and tightening laws on energy ratings for rental properties, the demand for these services will only increase in the coming years. Halltech, which celebrated 10 years in business last year, recently won a Green Construction Award at the Humber Renewables and Green Energy Awards. They won the accolade for restoring a Victorian building on Anlaby Road into Hull’s very first ‘super home’, bringing it from an E rated to A rated energy efficiency badge.